Last night I popped down to the Bodmin gaming club in Blisland. I took with me my gang from Ramshackle miniatures to play Jon Moyse at Outlands. I wanted to give its new edition a go. Outlands is an action/reaction based skirmish game. Its designed for use with any 28mm models on any 28mm scenery. It’s very fast and fun to play. I particularly like how the mechanic makes simple actions seem narrative, you can almost imagine the gun-slinging outlander stepping out from behind cover, taking a shot, only to miss and get plugged in return. Because of the reaction based system, this all happens at once, which is very cool and cinematic. Jon used a team of judges from a Dredd miniature range and it felt very much like they were seeing off a gang of outlaws from the wastes. Each turn priority is rolled for, and one of the new changes has been to increase your chances of becoming the active player if your last turn has been ‘reactive’. This was my biggest ‘issue’ with the last version of the system, it seemed a little easy to be stuck reacting for a few turns, so I was glad to see this changed. Still loving this little skirmish game. All said and done it is a fast game that works very well, creates a lot of fun moments and gives you a lot of modelling flexibility. 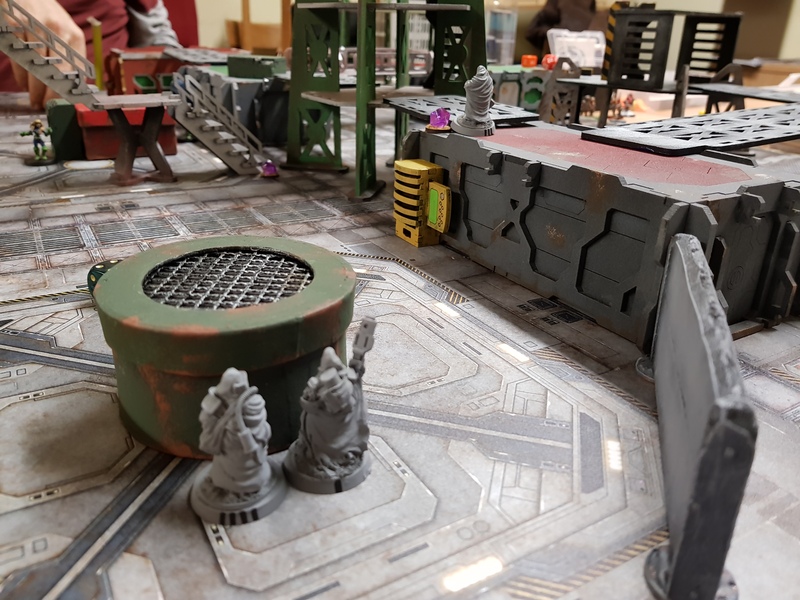 Due to the low model count It is ace as a “pick up” game to play if you havent had time to arrange anything for a games night, the buy-in is very low and I literally have not purchased a single miniature or piece of terrain for it and have been playing for a while now. I would give it a go if you haven’t already, I dont think you will be disappointed. If you want to find out more check out their FB page. See you all soon in episode 20, we record tonight!